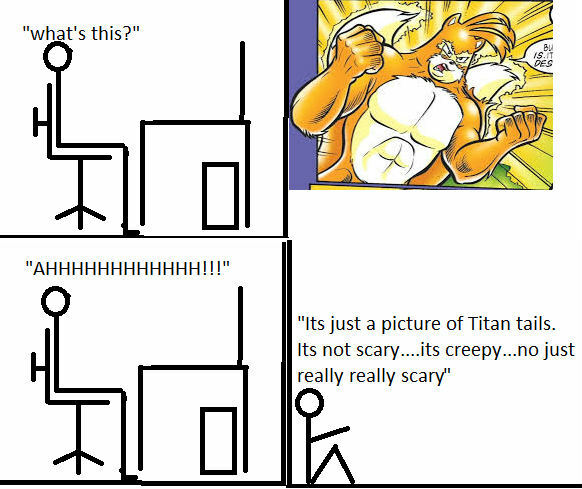 My reaction to Titan tails. My first reaction to Titan tails. Wallpaper and background images in the Miles "Tails" Prower club tagged: tails. Yea.....wolf Tails aka the Titan Tails that was posted on here is better! !